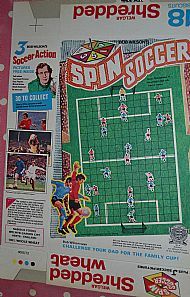 A 1970s free football game printed onto a cereal box, uncut and unused.Bob Wilson's Spin Soccer plus free stickers were also included in the pack as well. 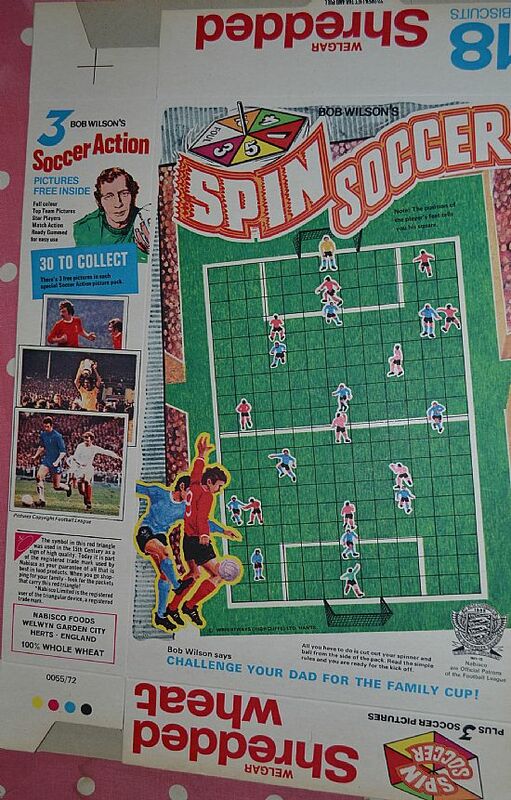 Nicely graphic playing pitch. How could you resist this in the supermarket. 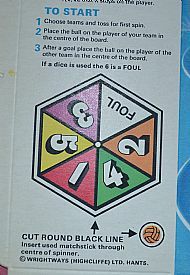 The spinner and ball for you to cut out and use. 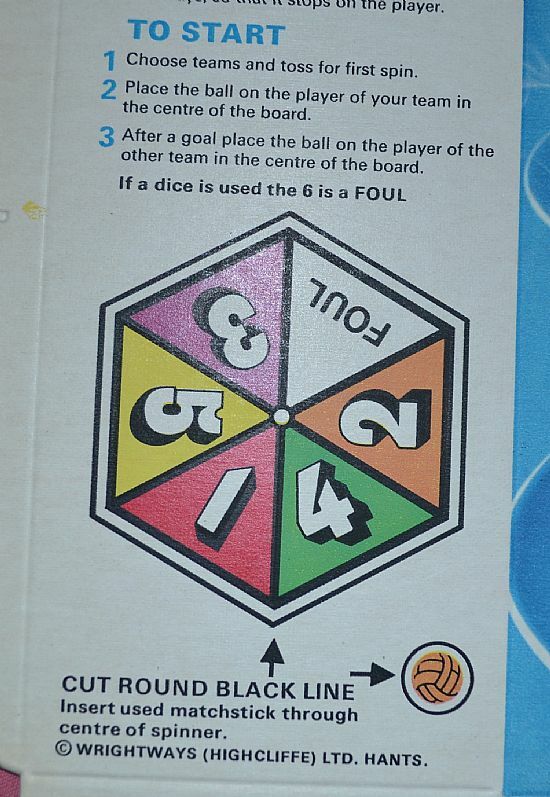 Simple rules make the game nice and easy to play.